Need to get rid of Hobo Spiders? What is a Hobo Spider? Hobo spiders make a funnel web which is a trampoline like flat sheet leading back into a hole between bricks, under wood or in shrubs . There are many closely related species of spiders which also make similar webs, thus just because you see funnel webs on your property, doesn’t not mean that there are hobo spiders in those webs. Hobo Spiders are in the news annually and stir up concern because of the dermatologic wound they can cause. Please keep in mind that without a microscope you may not be able to identify hobo spiders. Spots on the sternum – not a hobo Distinct stripes on the cephalothorax – not a hobo Dark rings around the legs – not a hobo Legs and cephalothorax are shiny and dark orange in color – not a hobo The palp of the male is long and pointy – not a hobo How do you tell for sure if you have a hobo spider? Again, without a microscope, you cannot definitively ID a hobo spider. You should capture the spider, place it in a container with rubbing alcohol and have it identified by a professional. If you have an issue with spiders and want additional information, please call our office for prevention and treatment options. Both spiders are brown. The brown recluse, also known as a fiddle back spider, has violin-shaped marking atop its abdomen. The brown recluse has six eyes arranged in pairs. Hobo spider coloration ranges from rust to reddish brown. They also have a distinct patterning on their abdomen which a brown recluse doesn’t. 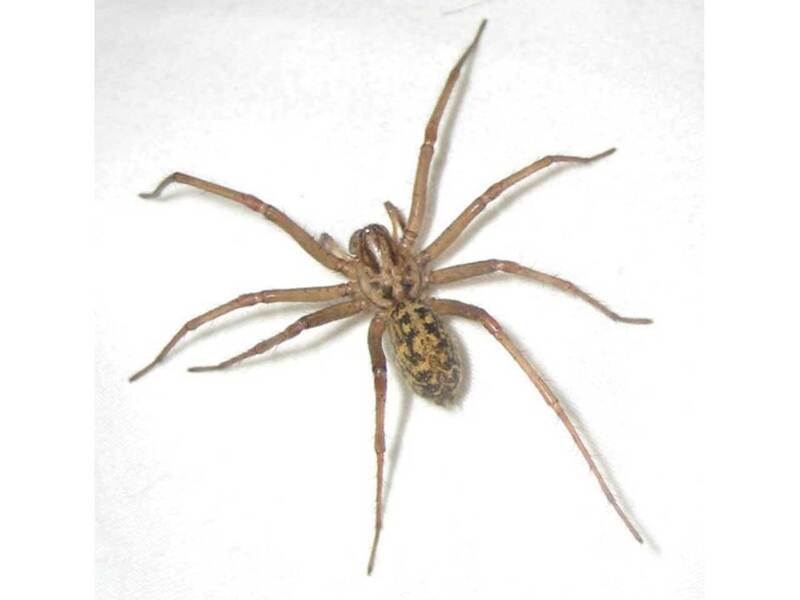 The Hobo Spider is normally found in the Pacific NW, the brown recluse is found in the central southern part of the US. Brown recluse spiders are the ones that have neurotoxic venom that is capable of causing necrotic lesions, thus they gain the press hype. Hobo Spiders venom in not a medical threat to the average person.